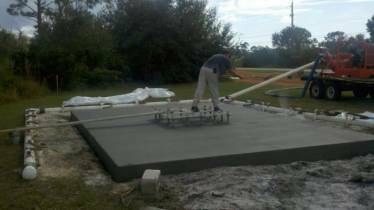 In June of 2013, Portland Bolt shipped large galvanized F1554 Grade 55 anchor bolts to be used in the concrete foundation of a cross monument being erected for the Lutheran Church of the Cross in Port Charlotte Florida. The monument was designed not only be visible to a nearby highway, but also to withstand the forces of hurricane winds. Forces that the community of Port Charlotte and the members of the Lutheran Church of the Cross know from firsthand experience from tropical storm Hurricane Charley. 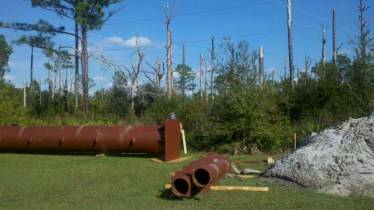 The 2004 hurricane took lives, caused over 15 billion dollars of damage, and devastated the church itself. 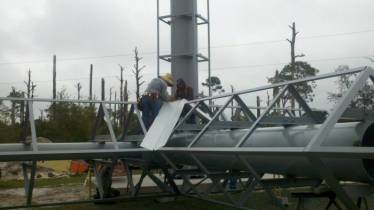 The 60 foot tall and 40 foot wide monument was designed to withstand the 150 mph winds of a hurricane and meet the local Florida wind load requirements for a structure of its size. 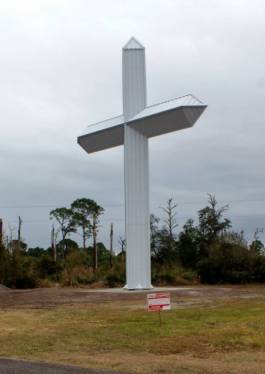 In February 2013, after a 8 year process to get construction of the cross approved with the local county government, the county approved the construction of the cross being that it was to be considered a monument and not a sign, which have limits place on the height and size. Four months later Portland Bolt ships the 14 quantity 1-3/4” diameter by 64” long F1554 Grade 55 anchor bolts to be used in the 6 foot deep and 18 foot wide concrete foundation of the monument to anchor the structure to the earth. The Cross Monument was dedicated on January 26th 2014 with a service explaining the meaning of the Cross Monument. Portland Bolt is proud to be a part of such meaningful and significant projects such as the Cross Monument.